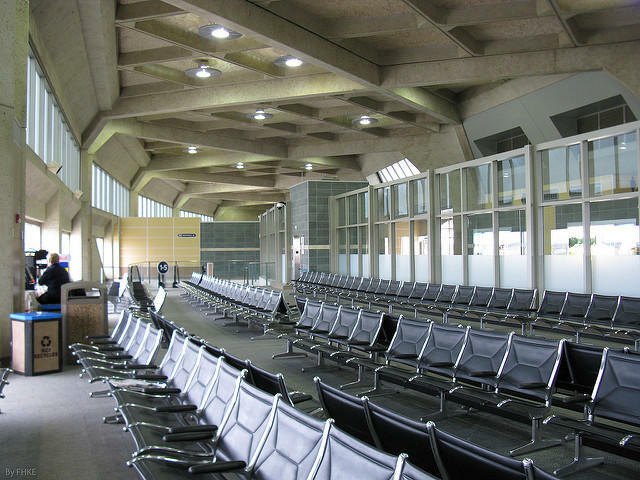 Burns & McDonnell announces its 20 new partners for its single-terminal KCI plan. From the “KC Built. KC Pride.” banners to the backdrop of the downtown skyline to the sprinkle of reps wearing Love KC shirts, Burns & McDonnell portrayed itself as the true hometown team during its KCI announcement Tuesday morning. The firm revealed 20 locally owned and operated businesses that it will take on as partners for its single-terminal KCI proposal. On top of that, partners reminded the crowd that the solution started locally and should be carried out in the same manner. Just a few months ago, Burns & McDonnell presented a plan to design and contruct a new KCI terminal. Weeks later, a California based company, AECOM, also showed interest, leading the city council to open the bidding process. Proposals are due July 27, with a selection expected to happen shortly after. However, the project still needs to be approved by voters in November and some have consistently resisted the single terminal idea. Despite the mixed feedback, Burns & McDonnell Senior Vice President Ron Coker announced that the company moved their start date up a year, to Nov. 8: the day after the vote. JE Dunn President Gordon Lansford said the project would bring together businesses for a common cause. Burns & McDonnell's banners portrayed the firm as the hometown team for a new KCI. Coker made it clear that more partners would likely be brought on in the future. Many partners spoke to the project’s inclusion of more minority and women-owned companies as well as displaced and young workers. Companies that have worked with Burns & McDonnell before, such as Dubois Contracting, attested to the company’s larger vision of local progress. Lexi Churchill is a news intern for KCUR 89.3. 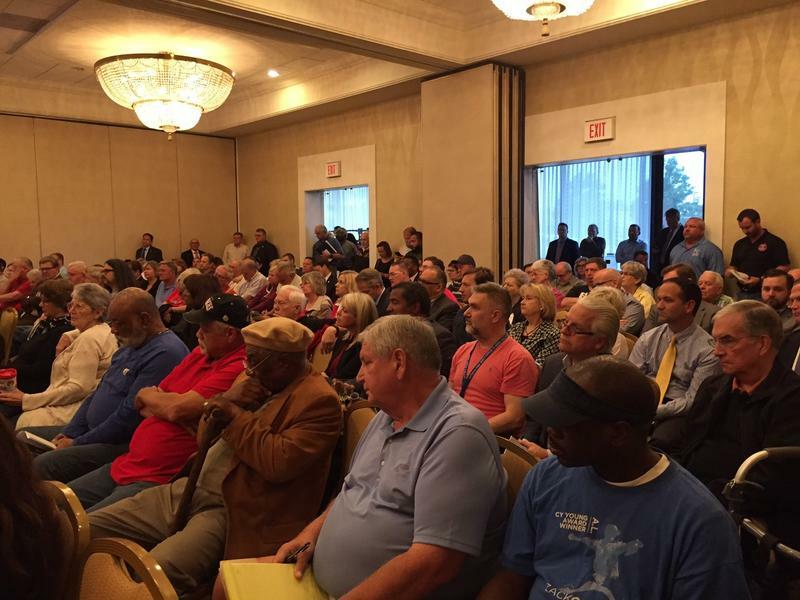 The standing room only crowd that showed up Tuesday evening to tell a Kansas City Council committee what it thought about a new, single terminal at Kansas City International Airport was pretty evenly divided. Those representing construction companies, trade unions and economic development organizations want the project to push forward as quickly as possible.